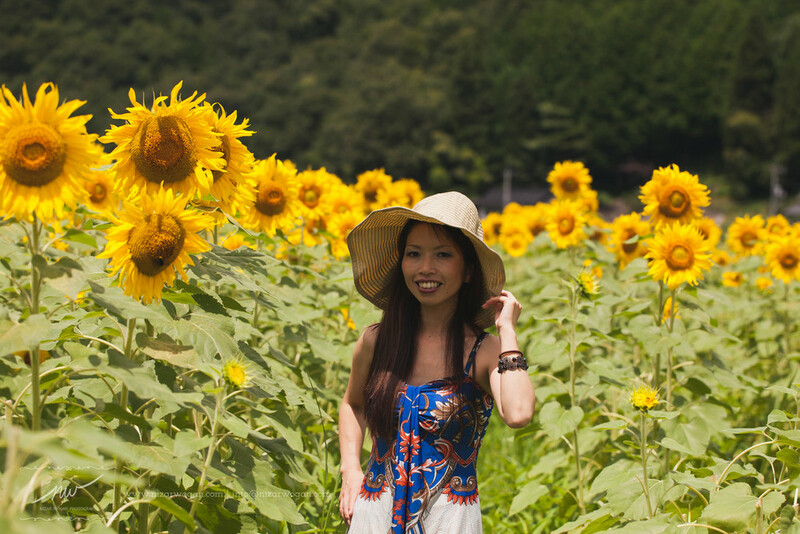 Yesterday, Chie, Carolyn, and I went to this beautiful sunflower field at Kimita. I've never seen so many sunflowers in my life until yesterday. It was beautiful! It was gloomy and raining when we left Iwakuni around 9 a.m. We arrived at Kimita around 10.50ish, so it took a little bit less than two hours to get there. It was surprisingly sunny, hot, and rrrghh humid day at the field. 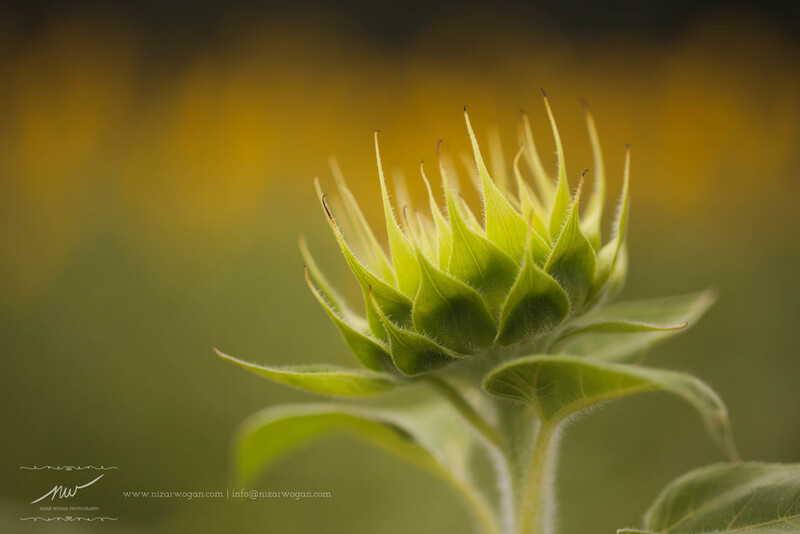 The sunflowers were still fully bloom yesterday. I don't know if they are going to stay like that until this weekend, tho. Here are some pictures of this trip. 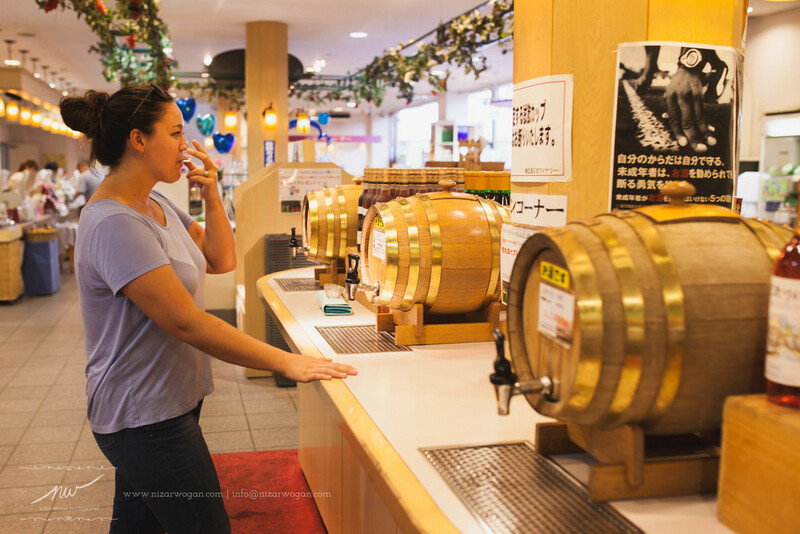 On our way back to Iwakuni, we stopped by for lunch at the winery at Miyoshi. It's about 15 minutes (or even less) away from Kimita. I don't drink wine (or any alcohol drinks), so I can't tell how good these wine are. But Carolyn definitely enjoyed this FREE wine tasting, and got some bottles of wine for herself. I, myself, also got a bottle of.. grape juice :) This place also has a huuuuuge playground. Your kids will enjoy it for sure. It's indeed a nice day trip. Thank you so much for my dear friend Chie who arranged it, and also was willing to drive for this trip. .:. It's almost ¥6,000 for the tolls roundtrip. Yes, it's expensive. But it's three of us, so it's only cost each of us not even ¥2,000. I think it's pretty good.